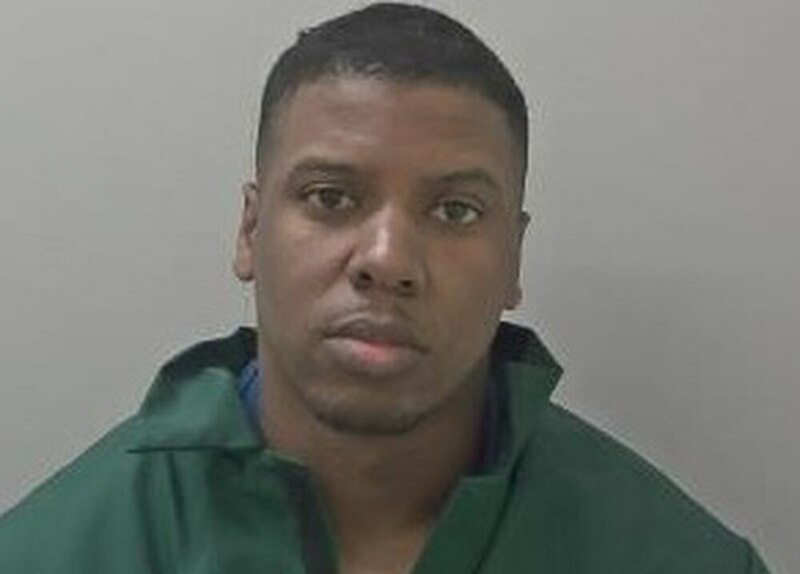 A dealer from Wolverhampton who was caught peddling cocaine and heroin has been jailed for more than three years. Daniel Conrad Henry tried to destroy the evidence by hurling the phone sim card and some of the drugs into the River Severn in Shrewsbury when he was confronted by an officer on patrol. The 29-year-old was on licence after being released from prison last year for drug possession when he drove to to the town on May 21. He was armed with a supply 'kit' containing a contact list of more than 50 potential customers, two mobile phones and more than 30 wraps of Class A substances, Shrewsbury Crown Court heard. Mr Anthony Longworth, prosecuting barrister, said: “At about 11.20 PC Baldwin was on bicycle patrol along the Severn footpath close to the castle bridge when he saw a man that he knows to be a drug user standing near a bench with the defendant. The officer spoke to the defendant to inquire who he was, but got no reply. Mr Longworth said Henry, of Glenworth Gardens, Whitmore Reans, took a phone from his pocket which he dismantled and threw into the river along with the other items, but some items including the sim containing 53 names were later retrieved after the officer radioed for back-up. He said Henry tried to flee on foot but he was caught in Severn Street, searched and arrested and £101.71 in cash and another phone seized. Mr Longworth said the Vauxhall Astra driven by Henry was located nearby and more than £220 in cash along with drugs were inside it. In total the officers confiscated 20 cocaine wraps and 13 heroin wraps during the incident. ”The prosecution case is that this was part of a group activity that targets smaller towns such as Shrewsbury to sell drugs,” Mr Longworth added. Henry, a father-of-two, was jailed for nine years in 2013 for drug possession before being released in January last year. Mr Ekwall Tiwana, defending, told the court Henry had struggled to adapt since his release and had family problems. “After a while he was doing well, but the problems accumulated. He was working as a bar man, but the job didn’t pay well. He was told by previous acquaintances that he could make some money on the trip. He is not very intelligent and has not learned from past experience. Henry admitted possession of cocaine, and possession with intent to supply cocaine and heroin at an earlier hearing. He was jailed for three years and four months. He must serve half the term before being released on licence. Judge Peter Barrie told him: “It is very sad to see how you have brought upon yourself the consequences of drug dealing. You were found dealing in Shrewsbury. It is clear that you were sent as a mobile link from Wolverhampton. Henry was given credit for his early guilty plea.